Roser Bru was born in 1923 in Barcelona, Spain, but lived in Paris from 1924 to 1928 with her family. In 1928 her family returned to Barcelona, where she attended the Escuela Montessori and the Instituto Escuela de la Generalitat. The artist escaped to Chile in 1939, a refugee of the Spanish Civil War (1935-39). She enrolled in the Escuela de Bellas Artes de Santiago, where she studied watercolor, drawing and painting. She completed her artistic training at the Taller 99 and she taught drawing and painting at the Escuela de Arte de la Universidad Catolica de Santiago de Chile from 1964-68. As a comment taken from the Cultural Affairs web site of the Chilean Embassy observes, "Considerd one of Chile’s most renowned female artists, Roser Bru (Barcelona, 1923-Present) made a name for herself by painting in a "humanist way." This meant that she portrayed characters biographies through graphical representation. By doing this, Bru stated that she could, "obtain the characters’ psychological nakedness." In this series, Bru focuses on the traces of the past, x-ed out by time and events, surviving through traces left on the paper by the artist. Select bibliography: Juan Benet, Roser Bru: el Deterioro y la Memoria (Madrid: Galeria Aele, 1976); Adriana Valdés, María Luisa Borras, Enrique Lihn, Justo Pastor Mellado, Pedro Millar, Diamela Eltit, Armando Uribe, Juan Benet, and Alexandre Cirici, Roser Bru (Santiago: Museo Nacional de Bellas Artes, c. 1996); Jose Martin Fierro Hernandez, Coplas de presentacion por Rafael Alberti. Prologo de Alejandro Losada Guido. Ilustraciones de Roser Bru (Barcelona: Biblioteca De Los Grandes Clasicos, 1968); Adriana Valdés, Roser Bru. 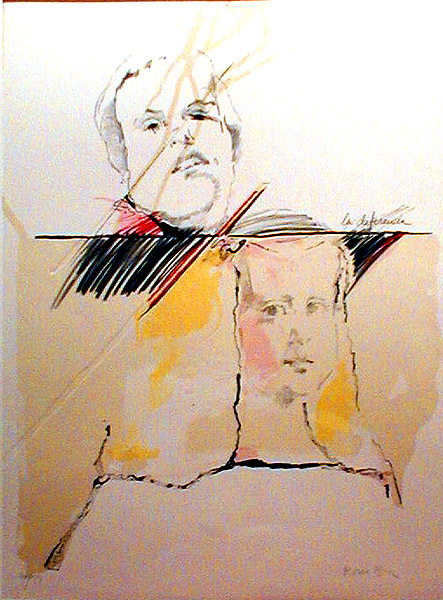 La infinita vida (Santiago, Chile: Tomas Andreu Galería de Arte, 1994). La Differancia. 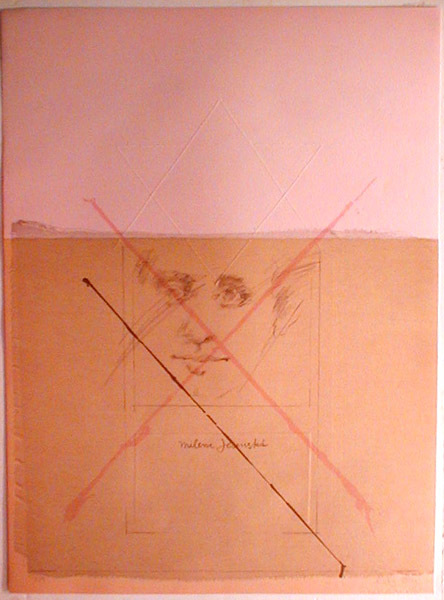 Original color lithograph with embossing, 1975. 99 signed and numbered impressions on Guarro paper. The work compares one of Velasquez' most famous images with a sketch of one of Bru's friends. Image size:768x567mm. Price: $650. Roser/Montserrat, Escola Montessori Barcelona, 1933. 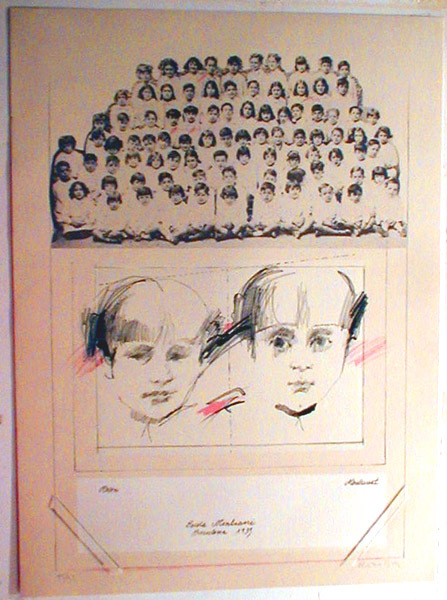 Original color lithograph with embossing, 1975. 99 signed and numbered impressions on Guarro paper. Image size:768x567mm. Price: $650. Milena Jescuska. 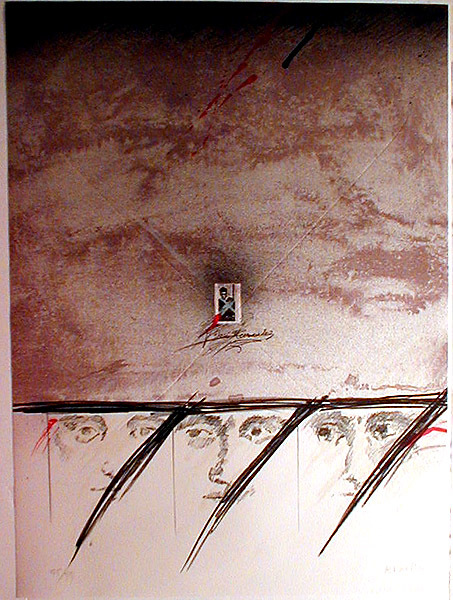 Original color lithograph with embossing, 1975. 99 signed and numbered impressions on Guarro paper. Kafka first made the acquaintance of Milena Jesenska in 1920 and their relationship was to last a little over two years. Franz Kafka wrote Letters to Milena (available in many editions and translations) pouring his heart out to her over the course of two years before her tragic death. The book and this piece of art are traces of her life. Image size:768x567mm. Price: $650. Visiting hours: flexible. Call for availablility. Browsers and guests are welcome.